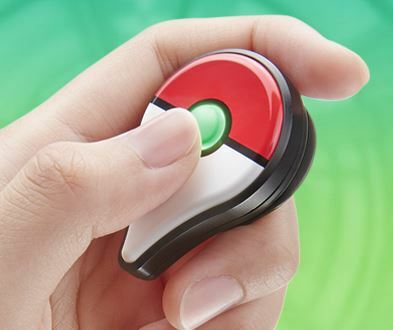 A new update gives Pokémon Go players the option of picking a virtual monster to “walk” with you as you play the game. That Pokémon helps you by collecting candy of its own type while you walk. Oh, and the update allegedly helps fix the egg hatching issues everyone has been experiencing. Cnet has a rundown of the new features. 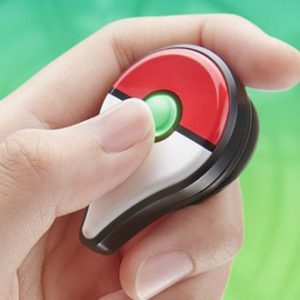 And, today is the day you can get a Pokémon Plus (see photo above from the official website)—the wearable device that is supposed to make it easier to catch Pokémon without having to have the app open constantly. Before you say, “shut up and take my money” though, you might want to check out some reviews like this one from Forbes and this one from VG24/7.com. Google’s Cardboard, that is (not the box your last Amazon delivery came in). 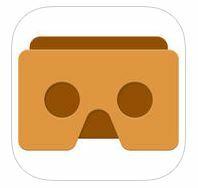 Now you can view your photos in VR—or at least a very VR-like experience, but using your iPhone. The app is available in the iOS App Store if you want to give it a go (and you have the viewer, of course). Grab that Amazon box and get making, if you are inspired. After some bad press after a Tesla driver was killed while using the car’s autopilot feature, Tesla is back on the offensive. This week they announced updated autopilot software, which should be live in a few weeks. Autopilot 8.0 uses the car’s existing radar system to enhance the on-board cameras so the car is better able to detect obstacles –as long as they’re not large fluffy objects. So, stay away from foam parties or stuffed animal factories, Tesla drivers. Reviews are coming in on the new iPhones so if you’ve been on the fence about whether to upgrade, maybe you’d like to read the tech press’ take on it. Ars Technica thinks it’s good, but not perfect (but what is? ), Buzzfeed’s reviewer did a really thorough comparison between the 6 and 7 and felt like an upgrade is a “no-brainer” if you’re due. Regarding the iOS, other than an early glitch, it’s now fixed and available for download. So far, people seem to like it. If you’re still getting familiar with iOS 10, check out Mashable’s 10 Hidden Features list. And, if you’re on Android don’t worry—I’ve got you covered. Gizmodo has a list of The Most Useful Hidden Features in that operating system. Did Chevy beat Tesla to the punch? At least, that’s what CNN Money is saying. They tried it, and while they thought it was cool (ha! ), at the end of the day, it was a hair dryer. A really expensive hair dryer. That dries hair pretty much just like its way-cheaper competition. So maybe save your $400. This week Apple released the Swift Playgrounds app for iPad. Why is it a big deal? Because it’s a game that teaches coding concepts. According to Tech 2, it’s easy enough for coding newbies, and “powerful enough for skilled programmers.” Maybe something to check out this weekend, if you’re so inclined. What the heck is Venmo and how does it work?